Farlaine the Goblin ~ A Fairy Tale About Finding Your Forest: C2E2 next week! Then Free Comic Book Day the following week! C2E2 next week! Then Free Comic Book Day the following week! An exciting couple of weeks! 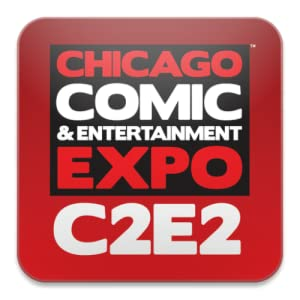 C2E2 is coming up NEXT WEEK, April 25-27, in Chicago! Farlaine the Goblin will be set up in Artist Alley at table V-9. I'll have copies of Books 1-3, stuffed Farlaines, and prints! Then, the following week May 3rd is Free Comic Book Day! If you're in the Massachusetts area, swing by New England Comics who should have signed copies at all stores!